Johnny Depp is not denying that he physically hit a location manager while on production for his movie, “City of Lies,” but he’s claiming it was done out of self-defense and should therefore not cause him any legal or financial problems. Answering the complaint filed earlier this year by Gregg “Rocky” Brooks, Depp argues that any violence brought upon the location manager was because the actor “feared for his safety” during the incident. “City of Lies” is based around the murder investigations of Tupac and Notorious B.I.G. It was slated for a September release, but has been pushed back and a new date has not yet been announced. In his original complaint, Brooks alleged that Depp “smelled of alcohol” when he allegedly punched him twice in the rib cage after the location manager tried to enforce a permit restriction during a late night of filming. Depp’s bodyguards allegedly had to hold back the star, and Brooks was fired from the production three days later after refusing to sign a release on the incident. Now Depp wants the entire case dismissed and for Brooks to get no money. Interesting--we are sure seeing Johnny being more public about these type of situations. Thanks Deppoholic! This sure is getting more and more interesting! But poor guy! Won't it ever be over?! We knew by his appearance that something was not right. If any, even one teeny bit of this is true? This man has been through hell. Also remember that his mother was dying during this time. Depp’s attorney further denied Depp punched Brooks in a statement to PEOPLE just hours after filing the response. “Despite false media reports suggesting otherwise, Johnny Depp never touched the person suing him, as over a dozen witnesses present will attest. In a court filing we have generally denied all claims and we will fight these latest sham allegations,” his attorney said. Maybe I don't understand this well but what is this "self defense" argument if he didn't lay a hand on him? The Globe is for the most part a sensational tabloid like the National Enquirer, rarely anything is true, so I wouldn't rely too much on what they say. But you can see he had so many scratch marks all the time on his face and arms while he was with Amber. I know. It's always been hard to get just the facts. Now it seems to be getting worse?? She has 40 (FORTY) timed stamped photos to prove that Johnny didn't assault the guy! There ya go! Knew this didn't sound like Johnny, but stepping in to protect someone, that DOES sound like Johnny! Johnny Depp scored a significant legal victory on Tuesday, as an L.A. Superior Court judge ruled that his contract with his lawyer should have been in writing. Depp is seeking to recoup tens of millions of dollars in legal fees paid out to Jake Bloomover 18 years. The ruling could also have profound effects on legal dealings in Hollywood, where agreements are often based on a handshake rather than a written contract. Bloom was paid based on a percentage of the actor’s earnings. The relationship fell apart in 2017, as Depp was also fighting a legal war with the Management Group, his former management company. Depp sued Bloom in October, arguing that the fee arrangement was effectively done on a contingency basis, which under California law must be in writing. Bloom countersued, arguing that Depp had failed to fully pay his legal bills and had violated the unwritten agreement. Bloom’s attorneys argued that the agreement was not a contingency arrangement, but Judge Terry Green disagreed. Attorneys for both sides declined to comment outside court. The case is set for a trial on May 6, and Bloom’s attorneys may seek to appeal the judge’s ruling. Don't really know where to post this but it's just such a lovely message about Johnny: "Patience. And perseverance. Stay calm. And don’t stop. Ever. Life is movement. Always." 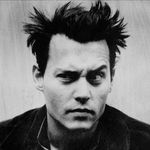 An amazing day for the wonderful Johnny Depp!! Thanks Deppoholic for these updates!! Bank Leumi filed suit Wednesday in Los Angeles federal court, alleging that it is owed millions in unpaid guarantees on the film. The bank is suing Global Road, which was taken over last week by Bank of America and other lenders, and Miramax, which has the TV distribution rights to the film. Miramax, following Global Road’s lead, has refused to accept delivery of the film. Global Road was supposed to release the film on Sept. 7, but pulled it from the schedule earlier this month. The lawsuit quotes Rob Friedman, Global Road’s CEO, as telling the producers that Global Road “is not going to accept the movie because of the current environment surrounding it” in a phone conversation on July 17. The following week, an attorney for Miramax wrote a letter to the bank, indicating that it would follow suit. Depp was sued on July 9 for allegedly punching the location manager on the set of the film, a charge that his camp vehemently denies. Good Films obtained $23.2 million in loans from Bank Leumi to produce the film, which concerns the LAPD investigation of the deaths of Tupac Shakur and Biggie Smalls. Open Road agreed to distribute the film domestically, and agreed to pay a minimum $5.4 million guarantee directly to the bank, according to the suit. Miramax took the TV rights, agreeing to a $4.25 million guarantee. According to the suit, Good Films delivered the finished film this summer to Open Road, which had since been acquired by Tang Media Partners and had changed its name to Global Road. Global Road initially seemed willing to make the full payment to the bank, but subsequently balked, according to the suit. In the suit, the bank alleges that Global Road used Depp’s off-screen issues as an excuse for its own failure to release the film. “Any such statement would have been false because the real reason Open Road would not release the Picture is because Open Road and Global Road are in financial distress and decided not to pay the $10,000,000 of marketing and distribution expenses Open Road committed to pay,” the suit alleges. Global Road did not immediately respond to a request for comment. Looks like they didn't have the money to promote and release the film, so they shifted the blame to Johnny? So sick of the media. Thanks so much Deppoholic for keeping us up to date!